For once, I am not going to take sides. Let’s just keep things simple, stick to the facts, and see if we can draw some lessons from last week’s coordinated attack on Nestle’s Facebook page. Not in terms of resolving the feud between Greenpeace and Nestle – I could make that my full time job and still not put a dent in it – but rather in terms of helping companies not end up in the same kind of situation vis-a-vis their Social Network presence. But okay, fine, here is my token opinion bit: Greenpeace makes good points and Nestle has a company to run. The reality is that the solution to their argument lies somewhere in the middle. Not in compromise – that isn’t the point – but rather in collaboration between the two organizations. (And no, I’m not crazy.) More on that in Part 2 – tomorrow. First, let’s do a quick recap of what happened, in case you missed it. Part 1.a – What happened with Nestle on facebook? Prologue: Not surprisingly, Nestle, one of the largest global suppliers of food products in the world, finds itself at the center of a number of boycotts relating to product ingredients, environmental issues, economic impact, trade practices, etc. Greenpeace is involved with several of them, and routinely attacks nestle on a variety of issues, hoping to pressure the company into adopting more ecologically sound practices. 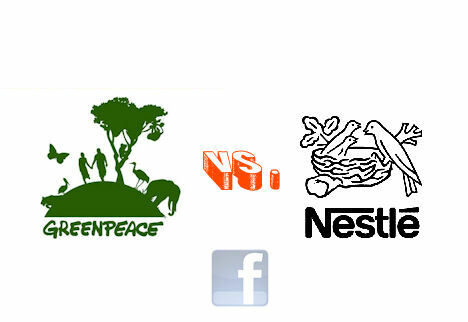 Last week, Greenpeace’s latest action against Nestle spilled onto the food giant’s Facebook page with… fracas. Nestle, founded in 1866 now generates over €100,000,000,000 (yes, €100+ billion) in revenue per year and is present in virtually every country in the world. For their complete list of products (many of which stock shelves and pantries all over the world), click here and here. Among them: Perrier, Kit-Kat, Purina, Nesquik and Power Bar. Chapter 1: Greenpeace’s fake Kit-Kat commercial focusing on palm oil and deforestation is released on YouTube and quickly goes viral. Chapter 2: Nestle fights back by chasing the Greenpeace video all over the internets in a game of censorship whack-a-mole. Chapter 4: Echoing Nestle’s logo censorship efforts with the video on Youtube and across other channels, Nestle’s Facebook team responds to criticism on their wall by… threatening to delete comments left by individuals using modified versions of their corporate logo as avatars, which only adds fuel to the fire. Chapter 5: Emboldened by Nestle’s seemingly unprepared and not particularly PR-savvy social media team on Facebook, the anti-Nestle attack grows into a mob beating of the brand well into the weekend and continuing into this week. The campaign, initially managed by Greenpeace assets, moves into the mainstream as environmentally-conscious Facebook users join the anti-Nestle crowd. Chapter 6: In spite of Nestle’s ruthless beating over the weekend, decent media coverage and questionable reports of stock woes for the company on Friday, people are still buying Kit-Kat and other Nestle products – at least in the 29601 – as if nothing happened, and seem relatively unaffected by whatever Greenpeace does to nestle’s Facebook page. 1. Don’t let one company’s failure scare you: If this episode has you reconsidering a corporate presence in Social Media (Facebook, Twitter, blogs, etc.) don’t let it. There is a VAST difference between having a presence in the Social Media space and having a well planned, well managed presence in the Social Media space. Nestle’s presence was… not the latter. If it may seem that Facebook is a liability, consider that it is no more a liability than email or the telephone. What happened to Nestle last week happened because the team charged with managing its Facebook page was either not qualified or not empowered to do their job. Properly handled, the attack on Nestle’s facebook page could have been managed differently and the outcome could have been radically more positive for the brand. Corporate comms isn’t about creative copy and pushing it out through a breadth of channels. It’s professional chess. 2. This isn’t amateur hour. Social Media management requires rigorous training and razor-sharp focus: Having a Social Media presence for your company and brand(s) is serious business. It isn’t an afterthought. It isn’t something you can afford to assign to interns. 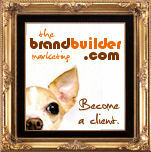 It isn’t something you can afford to completely hire out to a digital shop, a “social media” firm or an ad agency. You have to take the space seriously. This requires planning, preparation, training and focus. Greenpeace and organizations like it do this for a living. They are well-funded, staffed by passionate, dedicated and extremely well educated professionals, and THEY WILL NOT QUIT. If activist groups (even at the grass-roots level) set their targets on you, you CANNOT afford to leave any of your communications (digital or not) virtually unmanned. You need Marines, Navy SEALS and Rangers on that wall, not green, untested recruits. Hire professionals. The real time web isn’t a joke. Take it seriously and you’ll probably be okay. Hire amateurs, and suffer the consequences. It’s that simple. 3. Absence from the Social Media space won’t save you: Whether or not your company is active in the Social Media space has no effect whatsoever on whether or not people talk negatively about it. In other words, not having a facebook page or a presence on twitter will not protect you from boycotts, coordinated attacks, and defamation campaigns. Quite the contrary. You need to be there in order to a) monitor, b) learn, and c) respond quickly and adequately. The old question: “If a tree falls in the forest and no one is there to hear it, does it still make a sound?” does not apply here: If EVERYONE is in the forest except you, they hear the crash loud and clear. Not being there doesn’t change the fact that it fell and that it made a sound. All it means is that you weren’t there. Fact 1: Greenpeace has a valid argument when it comes to environmental protection. Fact 2: Nestle is a complex business with enormous supply requirements, relatively inelastic price-points, and tremendous pressure in the middle of a global economic crisis to perform well for its shareholders. As a company, do you want to keep wasting precious resources and energy fighting a blood enemy who will never stop dragging your name in the mud, or do you want to focus on helping your business grow and making its practices sustainable beyond 2025? It really isn’t a trick question. 5. Don’t get caught with your pants down. What’s so embarrassing to Nestle isn’t that Greenpeace’s video went viral or that its Facebook wall was taken over by environmental activists, or that people now associate the brand with dead orangutans. What is embarrassing to Nestle is that its team fumbled. Royally. In plain sight. How much firepower does a brand bring to the ring – and how seriously can it be taken – when even its digital communications team doesn’t seem to know what to do? Who’s in charge here? How did a company of such size and importance, with so many resources and access to talent leave itself so open to an action of this kind? How did it not see this coming? How is it that it had no plan? More to the point: As with all cracks in the armor, if Nestle left itself so vulnerable in the digital space, where else is it dropping the ball? What other parts of the organization are operating on auto-pilot? A single failure of this kind invites more attacks. Embarrassment is just momentary: The real danger of getting caught as unprepared (as nestle was last week) is that once your enemies smell weakness, they will keep probing until they find the next crack. And the next. And the next. Companies do themselves no favors by not being prepared for things like this. In this instance, Nestle KNEW that Greenpeace would continue to attack and probe and poke, and still, nothing was done by Nestle to prepare for the group’s unavoidable attack on its Social Media properties. This kind of thing is nothing new. Someone at Nestle fell asleep at the wheel. Tip: Know your enemies. Anticipate their tactics. Be ready. Tomorrow, we’ll discuss the steps that Nestle (and any other company faced with a similar attack on its Social Media outlets) should take when faced with a well coordinated campaign of this kind. It may not be brain surgery, but obviously it’s worth bringing up since not everyone seems to know how to plan for this sort of thing. Nestle Social Media team, come back tomorrow for some tips. Oliver, great piece here. I especially like #s 2 and 3, and see them constantly implemented to the contrary. You don’t qualify to be a social media manager because you have a lot of facebook friends (extreme example, but its the same philosophy, and i know you have written extensively on this before). And pretending these conversations won’t happen if you don’t have a presence is kind of like pretending people can’t see you if you cover your eyes. You might as well see what’s coming and try to control it or defend yourself as best you can. “Pretending these conversations won’t happen if you don’t have a presence is kind of like pretending people can’t see you if you cover your eyes.” I love that. All I see is noise. Wasted energy. Waves of outrage crashing against the poorly guarded walls of an enormous fortress. In the end, the storm passes and that’s that. I went to a bunch of stores this weekend and saw plenty of Neslte products in shopping carts. Impact on sales: not a whole lot. What’s Greenpeace going to do? Make us cancel Easter? This is candy season. Kit-Kats will be bought regardless of palm oil, deforestation or orangutans. And because demand won’t change, Nestle will continue to kind of try to do the right thing, and launch cool global, humanitarian initiatives without making real changes to its supply chain. It’s a silly dance that helps people feel like they’re doing something for the good of the planet… but in the end, it’s just noise. You want to save orangutans and rain forests? Taking Nestle’s facebook wall hostage won’t do it. And trying to FIGHT a giant the size of Nestle won’t do it either. There’s no contest. You can’t “beat” a Nestle. And frankly, people aren’t going to stop using whipped cream and candy bars because orangutans are losing their habitat in some country they can’t find on a map. It isn’t going to happen. Likewise, Nestle’s strategy for dealing with this is grossly inadequate. 1. As a corporation, Nestle seems to have very little situational awareness. 2. Having their legal team impose censorship action on the fake Kit-Kat video should be a detail rather than the entire scope of their response. Secondly, it’s questionable whether they should have approached the use of their logo in that way. There are other responses on the mnu that may not seem so… pointless. 3. I assume that Nestle spends a huge chunk of cash every year on corporate communications. Yet here we are with this facebook thing. What happened? Who’s getting paid to sit on their hands? When I read them, I usually like your analysis of things, and your initial take on this situation seemed fair, too. So I was sorry to see you express further down in these comments what I would call a a serious defeatist attitude, and one that I think took you a little off-base of the topic at hand: from how Nestle is responding to the situation, to the effectiveness of a tactic like the one that prompted the response. Your thoughts on action to bring about real social change as expressed in your short comment are not quite as well thought-out as your thoughts on bringing about social media/social communication change. With ideas like “you can’t “beat” Nestle,” and then framing Greenpeace’s efforts as part of a “silly dance that helps people feel like they’re doing something good for the planet,” you appear not to know or appreciate the history of social change too well. I use the word “appear” because I’m sure that that’s not true about you. But it was only a comment, and you could only express so much in it. I’m sure you DO appreciate the history of Davids versus Goliaths, and tactics that sometimes may not seem fruitful at first. (For reference, let me suggest Martin Luther King Jr’s 1963 “Letter From A Birmingham Jail”. http://en.wikipedia.org/wiki/Letter_from_a_Birmingham_Jail ) and the context in which it was written. I’d put the “taking hostage” of a Facebook page in the category of guerilla warfare or more mildly an expression of moral outrage. Both can and have lead to big changes, from saving dolphins in some unchartered waters that people could not find on a map, to the ending of wars. Check out this Halloween and the chocolate candy situation. 2011 was GREAT year for fair trade candy thanks to regular moms boycotting the regular Big Choco for there use of child labor in Africa (http://www.grist.org/food/2011-10-25-scare-trade). It isn’t that Nestle lost money THIS year. But, when something else happens, or a reasonably-priced alternative product pumps up their advertizing… I’m sure Nestle lost market share this past Halloween. It’s not JUST boycott, it is targeting a particular area and promoting alternatives as well. Buy your fair labor chocolate here & read diff prices: http://www.bittersweetnotes.com/. Read “real kid” reviews of the candy to further make up your mind: http://bittersweetnotes.com/1273-ethical-halloween-candy-2011-taste-test-results! They need to get some clear direction with their Social Comms though – as they have survived this ordeal, but as Social Media messages spread more and more, they might not survive the next attack so well. I think you make a great case for Nestle and Greenpeace working together to try to resolve their problems. Granted they won’t be able to solve them immediately, but starting a dialog would be a great start. And they could have done that before even launching the Facebook page. What really struck me about this situation was the fact that Nestle has been here before. Perhaps not on Facebook, but they have faced the onslaught of boycotts and bad press for decades. As I recall, the 70’s boycott over their marketing of infant formula became a business school case study. As such I’d expect them to have PR teams in place that are well used to handling, or preferably preventing the need for, damage control. If their marketing, PR and social media teams had worked closely together on the Facebook rollout, they could have quickly anticipated the opportunity a Facebook page would create for Greenpeace, and could have prepared for what might happen. Being new to social media isn’t much of an excuse when you are not new to controversy. If they’d spent some time reviewing the lessons learned from their own history and the lessons learned from other social media failures, they could now be happily promoting Kit Kats today…and we’d all be writing about someone else’s latest blunder. Exactly. My local bike shop has better PR people than Nestle. How can that be? We need to help them fix this. Guess Nestlé just can’t do it Quik, huh? Can’t wait to see what Olivier has to say in his next post on the topic. Great post. So many thoughts racing through my mind. Perhaps it is just me, but it is all common sense. Public relations 101 or reputation management 101. This rings of the Eurostar situation. Both companies could have prevented (or managed) their situations with the investment in crisis communications planning (which should include a threat assessment with response) and knowledgeable, empowered PR professionals. Looking forward the Part II. Too bad common sense is in fact… not that common after all. Good post. You laid out the issues nicely. It’s hard to believe that a company as large as Nestle could have made such catastrophic errors. But they did. They’re probably too busy figuring out who to fire. One can hope. Maybe in a few months, someone over there will discover keyword monitoring. “You don’t qualify to be a social media manager because you have a lot of facebook friends (extreme example, but its the same philosophy…” I love how Eric puts it. PR online doesn’t fundamentally differ much from PR offline and when you wouldn’t let an amateur handle the latter why take the former lightly. The tone of the Nestle rep led me to believe this was a person who wasn’t quite sure about what s/he was supposed to do on the Fan page (hint: being snarky wasn’t on that list). Great read! Just posted. I couldn’t do it as a straight reply (too many re:re:re: deep) so it shows up as another comment. 2-3 down from yours. Wow, fantastic write-up on this debacle. I’ve been using your articles as case studies for in-house social media efforts and strategies over the past few months, and this is the next one in my library. Thank you! I greatly appreciate your voice of reason in stating that corporations and organizations should not fear the medium as a result of this incident. It’s way too easy to write off social communications due to perceived risk or fear of backlash. I’ve been advocating for many months now that if you don’t join these channels (and do the job effectively), someone will always be speaking on your behalf (and quite likely not in a good light, either). Continuing to encourage folks to LISTEN first, then engage, be helpful, and do so sensibly and with a clear strategy will only go a long way to stave off blind fear. For many organizations, if you’re not trained to talk to the media, you’re not permitted to speak on behalf of said organization, no matter how you’re approached. Folks manning social media channels need to be given the same consideration… perhaps not full-blown training, but enough so they don’t hurt the brand and know who to call upon in a crisis as reinforcements. In other words, NO INTERNS (sorry, kids!). It’s disappointing to see that, for Nestle, their Facebook presence was not given the same level of attention as a standard-issue press release or press conference. As you stated, it’s ALL communications, no matter where it lives. I sincerely hope C-suite folks learn to treat these efforts with the same level of care-and-feeding as more traditional outlets; that way, the people that truly know what they’re doing will be at the helm if (or when) this ever happens to them. Looking forward to the next chapter in this piece! First, thanks for the comment. I appreciate your thoughts, opinion and time. But… okay, look. I love a good story as much as the next guy, and David vs. Goliath themes are wonderfully romantic. I get it. Everyone loves an underdog story. Hollywood and pop culture have built empires on our taste for that sort of thing. And yes, sometimes, David does indeed beat Goliath. I’ll give you that. But let’s get serious for a moment. As much as I sympathize with the plight of the orangutan, as much as I want for the world’s rain forests to be left alone, and as much as I would LOVE to see companies like Nestle embrace truly sustainable food production practices and the use of natural ingredients in their products, I also live in the real world: The world of P&Ls, the world of R.O.I., the world of stock value, the world of global distribution, and the world of supply and demand. What I am expressing is absolutely NOT a defeatist attitude. Do I believe that organizations like Greenpeace can affect change? Absolutely. Remember fur coats? Remember the baby seal campaigns in the 70s and 80s? When people organize themselves and want to bring about change, they can. What I was referring to in my comment is this particular situation: The fake Kit-Kat commercial was well done. If Greenpeace wants to keep seeing results, they need to continue to raise awareness that way. Show people graphic images that will stay with them. Educate. Empower. Educate some more. That’s great. It does work. The Facebook wall campaign however was all noise, no dice. It turned into a frenzy of hatred against Nestle inside of about two hours. It turned into a mob. How is that productive? How did that help anyone at Nestle figure out ways to preserve rain forests and ape habitats? All they saw was a riot and people demanding their heads. Here’s the reality of THAT situation: Either you beat up the company, or you have a dialog with it. You can’t do both. You want a giant company to listen? Give them a better plan. Which way sounds better? The waves of outrage on a facebook wall so everyone can get the “I was there” T-shirt, or a strategy to actually get something done? Throwing rocks at a wall and screaming at it might make you feel big inside, but it doesn’t move anything forward. What I saw last week was a lot of projection. The David & Goliath fantasy played out on Facebook. Aside from the embarrassment to Nestle (Nestle’s Social Media team dropping the ball will be the subject of the case study anecdote, not the takeover of the page itself), only us Social Media geeks noticed. Joe Consumer didn’t. To the news, it ended up just being another Greenpeace stunt amplified by a big brand’s ineffective Social Media team, and a cautionary tale about “the dangers” of Social Media for a few old school CMOs to add to their “business as usual” strategy. That’s about it. One last thought: David vs. Goliath, Braveheart vs. the English, Rocky vs. Apollo, John McLane vs. the Nakatomi building terrorists, they all have one thing in common: Those battles weren’t fought on Facebook, from the comfort of coffee shops and student centers. Robin Hood didn’t hang out in his castle with a latte and a MacBook Pro. You guys want to play hero for real? You have to risk something. Here are some David & Goliath options for you if you really have the courage of your convictions: 1. Go to Borneo and stand in the way of bulldozers the way students once stood in front of Chinese tanks. Get someone to film that. Do it every day until something happens. 2. Hold demonstrations outside stores that sell Nestle products and get yourselves arrested for your trouble. Personally, I still think you’ll get better results by working with Nestle than against them, but hey, whatever works for you. The thing about being a hero though, is that you have to do something heroic. The boat teams that fight whalers, they’re doing something heroic because they could be killed. The kids who chain themselves to trees, that’s heroic too. There’s nothing heroic about shouting insults on the internet from your laptop. Don’t even kid yourself for one second. Posting angry comments on Nestle’s wall isn’t playing out today’s version of David vs. Goliath, and if you think it is, you and your friends have already lost. At some point, you guys are going to have to make a choice: Make yourselves feel good by taking over a Facebook wall for a few weeks, or actually get something done in the real world. Thanks for more insight into what you were thinking. Good, well-thought out points on strategies that could also work. But now I’m even more concerned – not about your thoughts or feelings about Greenpeace, but about your thoughts and feelings on social media/communications. Maybe I’m not so much concerned, as…confused. So your opinion carries some weight. Your opinion is what confuses me. I think I understand heroics. Can’t say I ever performed any. But I’ve seen a few. But the internet – and social media – give voice to so many who CAN’T necessarily be on the front lines, who can’t fly off to Borneo to chain themselves to a tree, or have the resources to get on the bus to Washington D.C. for a teaparty. Man, the last one who did that tried to dismiss bloggers as “probably sitting in their parent’s basement wearing their pajamas.” And we see what the world thinks of HER ( http://bit.ly/9qZJQg ). You don’t see social communications in that light, do you, even in the case of the Nestle thing? Again, I’m not advocating FOR or AGAINST the Greenpeace campaign. Well…yes, I am, I’m advocating FOR. I’m advocating FOR noise. And for the opportunity that the ‘net and social tools give to provide yet another channel – a global community channel – TO that noise. So it’s even more valuable that the “noise” probably came to Nestle’s FB page from all around the world, and not just from Greenpeace’s people but people that decided they wanted to chime in. To me, that “noise” demonstrates the beauty – not necessarily the power – of online social networking. Online can be the new Washington Mall for demonstrations, the new Town Hall for noisy meetings. Hey, I’m just really trying to understand why you would be so dismissive. I don’t think “noise” is necessarily all that bad. Or weak. Or ineffectual. Even in the Nestle case. It’s interesting that you do. But we can let it go, and agree to disagree. : ) …At least we agree about foursquare, lol. I’m not exactly sure what’s confusing, really. 2. you can call out to the guy inside and give him a reason to open it and let you in. What happened on facebook last week may have started as signal, but it degenerated into noise. By the time you guys were done, nobody cared about orangutans anymore. The story was how Nestle had lost control of its Facebook wall. So if you were trying to scare business execs away from the Social Web, great: Mission accomplished. You just set Social Web adoption back about six months for a few dozen Fortune 1000 companies. Well done. However, if you were actually trying to save orangutans, the facebook flashmob actually pulled attention away from the Youtube video and THE REAL conversation: While people outside of the assault should have been talking about palm oil, deforestation and orangutans, what they ended up talking about was how facebook became a PR liability for a major brand. Period. That’s why all that noise was a #fail. So, to recap: The NOISE made on facebook pushed aside the SIGNAL that was spreading on Youtube, and yes, that’s bad. It’s pretty important to understand that the way that you direct your energy creates completely different outcomes. This is true of a punch, a shape charge, a missile, a word, or a campaign. You have to learn this. Here’s the key point I want you to take in: Not only was the noise created on Nestle’s facebook wall ineffective (in terms of actually moving Nestle to preserve orangutan habitats), but it actually weakened the impact of the fake Kit-Kat spot on YouTube by redirecting people’s attention to what was going on on nestle’s wall. Your activity on facebook should have been aimed at focusing the public’s attention on that video, NOT on beating Nestle into a bloody pulp. Focused action vs. angry mob. Desired outcome vs. wasted energy. Roman legions vs. untrained barbarians. One thing…why no “share this’ or “tweet this” button on the post? I want to share directly. No, you aren’t missing it. I’m missing it. The new site (soon) will have one. I’ve been really slack about adding the feature. Great example of this: Recently read one of your blog posts about companies actually doing the little things that matter in order to achieve customer satisfaction and loyalty (March 1). Immediately thought about our internet provider that we all know and love =) and sent an @ message on Twitter with a link to the blog to one of this company’s service representatives. Within an hour he had responded saying that they would take a look at it. We’ll just assume the best and and say that they took a look at some constructive advice. Social media is repeatedly sold as an ideal way to expand dialogue with your customers and as a way to solidify relationships. However, what last week’s Nestle contretemps demonstrated wasn’t dialogue (or any interest in dialogue on Greenpeace’s part) but a coordinated SM hijacking and corporate bludgeoning. Despite Nestle’s inept handling of the affair, after watching their Facebook page being consumed by the endless flaming posts, I actually began to feel sorry for Nestle and their overwhelmed social media guardians. I kept waiting for Nestle’s SM response. How could they let this go on hour after hour without someone stepping in to cool the flames? Although they eventually posted a link to a thorough and persuasive letter documenting their corporate responsibility surrounding the palm oil imbroglio , it was all so…. corporate. Social media, above all, should revolve around connecting person to person. Nestle failed magnificently at this. Where was the video response? Where was the human face? Where was the attempt to connect on a personal level? AWOL. But yeah, Nestle needs to humanize itself a bit. The corporate layers won’t work anymore. They need to do something. You’re spot on. Brilliant response to pbarbanes. Lack of any “Heroic” accension–perfect analysis. Nestle aside, I believe that’s why many corps don’t see this as “catastrophic” (as one reader commented). A bunch of activists provoking a tantrum on a web page. The consumer yawns. Pretty much, yes. And besides, it’s Greenpeace. The problem with becoming radicalized, is that people come to expect two things: 1) A lot of noise, and 2) Unrealistic demands with no workable solutions. That’s great if you’re a frustrated kid looking for a movement, but not so great if you actually want to change the world. Greenpeace is most effective when they educate and apply sustained pressure (including its sea mammal protection missions) than when they focus their energy on quickly forgotten publicity stunts. I favor results over noise. Always. One of my attractions as an individual to social media, is the your 4th point. One way PR spin will not be a sustainable business model for the new generations. Yeah. Spin can only get you so far. It buys you time, but that’s about it. Eventually, companies need to realize that blogs and Social Networks have created more than just the ‘personal web.’ Tens of thousands of consumers and voters can organize spontaneously and DEMAND change. 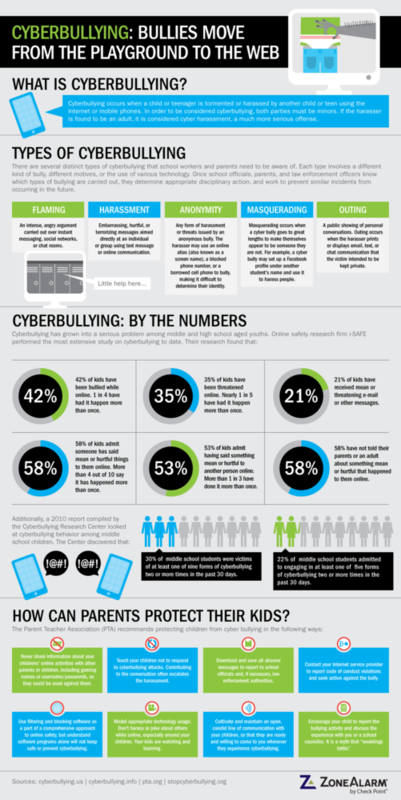 Listening, and accepting that people’s opinions online translate into behaviors offline = New market dynamics. In other words: New market forces. The C-suite is going to have to learn to accept that this changes the game for them, and action/change (not just spin) is going to have to become part of their organization’s toolkit in response to these occasional market demands. And yes, I like it too. It breaks up the status quo and gives orgs the opportunity to improve their position almost in real time. That’s exciting. I completely agree on this. We should focus more on SIGNAL than NOISE. 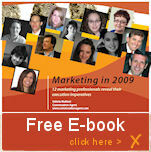 on March 24, 2010 at 05:58 | Reply How "Social Media Experts" let Nestle down. Badly. – we didn’t plan for people to go to Nestle’s facebook page. We saw it happening, and encouraged it a bit with a couple tweets, but mainly watched the disaster happen without doing anything about it. – by the time the facebook disaster happened, we all knew it wasn’t our campaign anymore. We realised that and decided to be a lot more hands off. – yes, we were also feeling a bit sorry for nestle’s facebook admin. We were still feeling sorrier for orang-utans getting extinct though. Yeah, lessons learned. I completely understand. Actually, it’s good to hear that you guys were a bit taken by surprise. I hope you guys do end up working with Nestle – somehow – to help them adopt more sustainable resource management practices. Obviously, you’re dealing with culture change at Nestle, and that’s a pretty tough gig when decision makers are so removed from the environmental impact of the decisions they make in comfy corporate offices. Decision-makers there have to WANT to shift the company’s practices. The key really is to give them a better plan. Give them solutions that don’t hurt their business. If changing their practices requires an upfront investment, that’s okay. Figure out how long those investments/changes will take to pay for themselves. Cost-neutral in 5 years? Great. Show them. They’re practical people. Nobody purposely wants to destroy rain forests and kill orangutans (at least I hope not) – They do it because they feel that they don’t have a better choice, from a business/P&L perspective. Give them a better solution, and you win. Again, thanks for the comment. I really appreciate it. Cost-neutral in 5 years? I want some of what you’re smoking to go back to the old days of business return measured in years, not months or “maximum one year”! 😀 (Not seriously taking you to task, but I’m sure you recognize as I do that few companies are willing to hear about “5 year” or even “3 year” paybacks or the like these days, especially as we still live under the paradigm of immediate/near-term ROI that took hold simultaneous with radical reengineering in the ’90s, but, unlike radical reengineering, didn’t cool off to a more rational position since). Valid Point. At the same time.. Very important to start monitoring long before the viral happens and take damage control measures especially on social media. Yep. Monitoring is critical at this point. So many companies start with “getting on FB and Twitter” without even bothering to set up monitoring practices first, and that is a terrible mistake. I particularly like #3. The reality is that social media doesn’t create – or even foster – criticism, it puts a magnifying glass to it. And while Nestle may not be a shining example, the best practice is to engage with opponents on real estate you control (your Facebook page, blog, corporate site), instead of on turf where you’re the interloper. Your response options grow geometrically when you’re fighting in your living room, not theirs. Thus, I share your hopes that incidents of this nature do not cool major corporations on establishing social outposts. To turn their back now is akin to unplugging the telephone. Unfortunately, I fear some are knee jerk enough to do just that. Excellent insight. I especially like two key points: engage in conversation and collaboration. As a more substantial question, I am not clear re “In other words, Greenpeace’s attack could have been made to backfire had it been met by professionals instead of amateurs. (See lesson 2. )” I do not see where you offer up how this attack could have been made to “backfire”? “Lesson 2” (“This isn’t amateur hour. 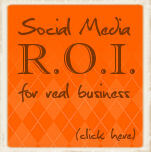 Social Media management requires rigorous training and razor-sharp focus:”) is not specific. Are you referring to Nestle engaging the crowd in a discussion of the complexities of supply chain and why some things are not simple yet others are in the works, indicating what their eco-related plans are while disseminating information as to why this isn’t just easily condensed to a few soundbites shouted by an angry mob? Also, what would you suggest in regard to the type of mob that shows up once in a while which is not interested in any good faith argumentation and largely troll-driven? I presume weeding out the clearly inappropriate (vulgar, explicitly libelous) posts while not dignifying silly ones with response while performing diligent reaction to the reasoned arguments would be roughly the way forward but would be interested to hear something more specific/tangible. To your first point: yes, profitability next quarter beats profitability in 5 years. But we’re dealing with MACRO challenges and planning in this instance, and formulating a plan that improves the company’s position in 5 years is still a BIG carrot at the C-suite level. Not at the group level maybe, but at the very top, yes. Great point though. As to this point, I have to nod at what you’re saying. It’s true. Why should Nestle bother assigning resources and planning to their facebook presence if what happens on their facebook page doesn’t significantly affect sales? My immediate answer is… because they don’t that it won’t eventually have an impact on their sales. One attack probably won’t do it. But five, ten, fifteen attacks from now, you may see public opinion start to shift and boycotts gain traction because of the awareness it creates. And besides, no company likes bad PR. Most corporate execs are risk and complaint-averse, so they will be motivated to avoid these types of public beatings as much as possible. It’s embarrassing to them and poses a threat to their tenure. Greenpeace would have been forced out of attack mode… (which would be a benefit for them as well) and the dynamics of the action would have COMPLETELY changed. Nestle would have gained the initiative, for one, and Greenpeace would have had to shift into an advisory, thought leadership role. Not a bad outcome, if you ask me. Everyone would win. Thanks for the response. I figured the advice would be such as mentioned, just wanted to solicit it rather than assume, and as you mention more addressed in part 2. I do think that even for C-level people – no, especially for C-level people – that ROI across 3+ years will rarely be accepted, BUT just as you say, the opportunities to deflect problems plus among more enlightened C-level people the general direction towards better sustainability is appreciated. So I do believe that fairly positive things can indeed be done and will be if constructively engaged. But I am pessimistic as to just how far any company will go if ROI is greater than 2 years *and* there’s not a clear and compelling strategic advantage over the longer haul. That said, that’s also a mostly-fair corporate response, except for the extreme short-sightedness which I think has become de rigeur wherein routinely even a 3 year ROI is scoffed at as if meaningless (by itself – as said something so blindingly obvious as “there will be more exploitable land and we can see that there will be less otherwise” can still pass muster, albeit just barely). I’m very impressed with the analysis and with the tone of the conversation (polite, engaged, non-inflammatory) which makes a nice change for me from many other blogs I frequent. So thank you for that. I also liked some of your comments on the nature of the Greenpeace action, and on activism generally: results, not noise is the focus, and noise without results is just posturing. It makes us feel good, but if it doesn’t get much achieved, then so what? That’s a hard message for some, but one that some of the activist community could do well to take on board more often. It needs saying. I would like to speak as an activist for a moment here, and say that in my experience, Greenpeace take the long view on actions. Generating noise like this is often a first step of a longer strategy, one that can involve a diverse array of tactics, including but not limited to consumer action and awareness raising such as we saw with Nestle last week. So, my guess is this is the first step in a longer manoeuvre, and for obvious reasons, Greenpeace aren’t about to tell anyone what that’s going to be. But it’s interesting and important for groups like Greenpeace that you were left wondering – so what next? Important then, I think, to build on the momentum already generated and to achieve a result soon to show what can be done on the back of consumer grievances, otherwise this campaign could come across as a flash in the pan. Finally, I really like your advice to companies such as Nestle to, well, act human. Like they already are. One reason why activists get worked up about the injustices perpetrated by companies like Nestle is that they are perceived as being faceless, authoritarian, bureacratic and machine-like to go alongside being uncaring and environmentally damaging. Acting out that stereotype is like pouring petrol on the flames and then wondering why it hasn’t put out the fire. But look, I completely get it: You sometimes have to resort to stunts to get the attention of both the public and the companies you are trying to reach. The trick, as you know, isn’t to get that attention, it’s to properly follow through. Too often though, the follow-through doesn’t get the attention it deserves, especially compared to the initial ‘beating of the drum.’ And that often plays against you in the realm of public opinion (outside of people who already sympathize with Greenpeace, that is). In a way, you guys have to get better at connecting the dots for the public: From cause to action to results. Otherwise, all they get is footage of riots at WTO summits and stories of angry Facebook wall hijacks. Know what I mean? You make it too easy for the press to paint you as a fringe organization composed of either ineffective tree-hugging hippies and insane loose cannon eco-terrorists. That has to change. If Greenpeace – or any activist organization – is to regain some credibility in the corporate world moving forward, what needs to change is the follow-through. Greenpeace needs to become as much a think-tank as it is an environmental action group. You guys need to become as well known for your white-papers, studies, collaborative projects and focus on eco-friendly/eco-neutral innovation as you are for your bold PR stunts. And I think you can be. Greenpeace was there before. It can be there again. Thanks again for your comment. Much appreciated. Yes, that’s a very good insight – I agree it’s important for Greenpeace to be perceived by the public as having sensible ideas and solutions as well as being a group that just creates a fuss every now and again with no follow up. It’s an image problem because Greenpeace already do spend a lot of time on government relationships, lobbying, political engagement, solutions creation and so forth – but none of that is as newsworthy or media friendly as the dramatic stuff like the start of the Nestle campaign. By its very nature, much of it is behind the scenes, behind closed doors kind of work, and I wouldn’t know how to go about informing the public better about that side of the work. But then, I’m not learned in the ways of branding! That’s a really interesting observation. So Greenpeace needs someone to help them in PR2.0 and online brand management then. Hmmm. I could make recommendations. I should make clear that although I’m what you might call an activist, I don’t work for Greenpeace so I can’t officially speak on their behalf. However, it seems that what comes out of your analysis and my comments is that Greenpeace (not just Nestle) could work more on how the wider public view them. Might be something to bear in mind for future reference? That’s exactly right. You got it. I’m a student mastering Science and looking for ways to put my time to use to repay the debts for the time being. This is fantastic information on getting money to post. Many thanks! t’s a really interesting observation. So Greenpeace needs someone to help them in PR2.0 and online brand management then. Hmmm. I could make recommendations. howdy-do, I came here through Twitter. Very perfect reading and interesting comments. Highly appreciated! Ok. I’d like the “noise” conversation to end. Nestle ENDED THEIR CONTRACT WITH SINAR MAS, the company greenpeace is ACTUALLY targetting, but holds no market value with the American public. The noise allowed Greenpeace TO WIN THE CAMPAIGN against NESTLE in 8 weeks FLAT (No more purchasing palm oil from unsustainable sources, also, this campaign is leading the Indonesian gov’t to debate a 2 year moratorium on ALL NEW LOGGING OPERATIONS). Unilever, Burger King, HSBC, Wal-Mart, Nike, Timberland, Kleenex (K-C) have all suffered the same fate of screwin’ with forests under Greenpeace’s watch. And yes… it’s called “bearing witness”. sometimes all you can do is make noise on an issue people don’t know exists, and then trust that the global communities’ morality will end with justice on that issue. people can’t act on things they don’t know are happening. I have a question for you. Why doesn’t Greenpeace launch a campaign that focuses on these outcomes? Noise/bearing witness is a good first step. Keep it going with the follow-through. Without the follow-through, the continuity, it’s still all a little unfocused in terms of educating the public at large, don’t you think? Great article! Agreed that Nestle wouldn’t have had such problems if they didn’t respond like school children and had properly managed their social media presence. It would have also helped if they didn’t actually practice some of these horrible things Greenpeace went after them for in the first place. All of the nonsense could have been avoided. Ok so I am thinking about removing my site from Tumbler and get it to a WordPress website. I believe this is a wordpress site right? If it is, may I ask where you got the theme? Thanks a bunch! in what year and month did this occur in??? and whats a useful website to get the facts of what happened.